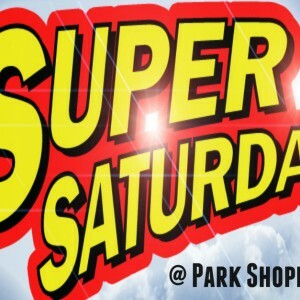 Every Saturday 2 different shops in Park Shopping Centre are featured offering anyone who anyone who hasn’t claimed already a FREE €10 to spend in ONE of the featured shops. You can read a little preview of the shops featured on this page in advance and plan where your free €10 might best be spent. Last week’s featured shops were ‘N&D Electrical’ and ‘Thunders Bakery’ and lots of people made great use of their free Tenner’s. How do i get my free €10? Simples. All you need to do is walk in and quote ‘€10 Super Saturdays’ to any featured shop and you will be given your voucher for the shop there and then. It’s as simple as that. There are 30 * €10 vouchers in each shop so it’s on a first come, first served basis. Which shops are featuring this Saturday? Harvard Hair Salon and Training Academy: Was created by expert pair Tracey Kelley and Maria Lynch who have worked with some of the best in the industry for the last 25 years. Both have competed at national and international levels and have won numerous award including the L’Oreal Image award, the IHF Ladies Cut and Colour and others. Their work has also graced Elle Magazine. Their website and price list can be found here and you can put your €10 voucher toward cut/treatment on that. Day and Night Laundry: Noel has some of the best value Dry Cleaning in Dublin 7 and most of his services cost in and around the €10 mark so there is great value to be had here if it’s a winter coat you want cleaned, a duvet freshened, or getting some ironing done. Put your €10 towards this, on us. You cannot claim for more than one voucher during any of the Super Saturdays, the aim is to give everyone a chance. There is no cash return on any voucher. The voucher will be handed to you by the retailer and in return for your free €10 worth of product you will be asked to carefully fill in your email address and mobile number so we can let you know when similar deals come around again.